GXG Black Padded Airsoft Paintball Gun Travel Storage Case Bag 21x10 by Loader at Wander Soul. Hurry! Limited time offer. Offer valid only while supplies last. 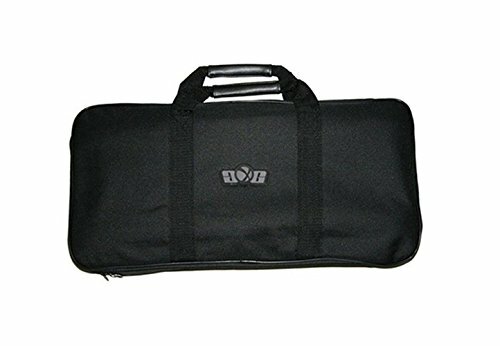 BLACK This padded gun case has plenty of room to store and protect your Airsoft gun. Its durable construction and lightweight design makes it a great; multi-purpose case. Features the popular digital brown camouflage design. Comes with velcro straps to secure your marker. Reinforced stitching and zippers for maximum durability. 21in long; 10in tall.